Florida. We’ve got it all. Beaches, sunshine, love bugs, cautious responsible drivers (okay fine, three out of four isn’t bad). The truth is, here in Florida we get more time behind our handlebars than most other places. Sure, it can get hot as hades under those leathers, but it’s a small price to pay for the freedom of the open road. Daytona Beach Bike Week 2019 is just around the bend. Soon our biker friends from near and far will fill our little piece of paradise for the biggest and best biker event around. It’s the perfect time to make a friend, hit the pavement and share one of the many beautiful rides this great state has to offer. Even seasoned #FLBikers may find a new route to adventure through. 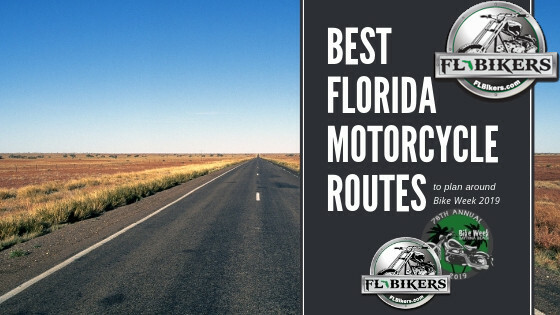 Check out the links below of some of the greatest Florida Motorcycle Routes. Have a route you want to share? Tell us about it, better yet snap some pictures on your next ride and send them our way! We’d love to feature you!